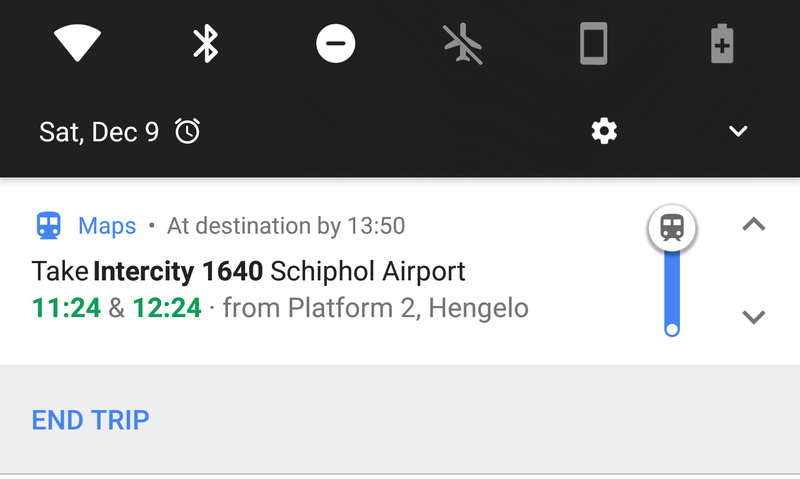 The new update in the Google Maps will remind you to get off your train or bus when you are close to your destination; this feature is very handy especially when you’re sleeping or new to the place. Google Maps is now the essential part of our lives and without this app, our mobile devices are just time notifications and live guidance during your journey. While you’re traveling you’ll get real-time updates, the updates will be seen on your Android Lock Screen and Google Maps app. To get started with the new update, you search for your journeys directions in Google Maps as you used to before but the new thing which is introduced is that now you’ll see a start button at the bottom of the screen by tapping it you will get the details about your journey and will get live updated as you go on a car, train, bus and even while walking. It’s a good step by Google Maps as it gives you now detailed directions of your journey and is very helpful while driving, biking or walking. This Google Maps update is very much expected to go live soon, and it is being tested by Google on its trusted tester community.